It’s still dark out when my alarm goes off. I look over and see the time, 5:30 am. Two and half hours till weigh-ins. I go to check my weight. Two pounds over. Two pounds in two and half hours. I head back to my room and throw on two pairs of sweatpants, two pairs of socks, a t-shirt, and a long sleeve shirt. I grab three of my thickest sweatshirts and two hats. By the time I’m finished dressing I feel like the Michelin Man. I hope I’ve got enough layers to get a sweat going. It can’t be more than 20 degrees outside. I grab my iPod, lace up my shoes, and I’m off. By the time I return home an hour later, the sun is just beginning to rise. My dad is awake now. “How much were you over?” he asks. “Just a pound,” I lie. My parents always hate it when I cut weight, so I try to hide how much I have to lose. I can’t hide from scale though, and when I weigh myself I find I lost 1.5 pounds on my run. I should be able to lose the last half-pound on the bus ride over to the tournament. For now, my work is done. My reward is that I get to wrestle. When most people think about wrestling, they picture either guys in masks pretending to hit each other with folding chairs or guys with gross ears who voluntarily starve themselves in order to roll around with other sweaty guys in spandex. Before I was exposed to wrestling, I was part of the former group. I only started wrestling because my older brother had just joined the wrestling team and would come home each night and “practice” all the painful moves he learned on me. I was in the sixth grade, weighed 68 pounds, and hated working hard. I had started taking cello lessons in the second grade, and I always hated having to practice. It was boring. It was time consuming. It was a waste of time. I tried every shortcut in the book to get out practicing: setting up my cello to make it look like I practiced while my parents weren’t home, threatening not to do my homework unless I didn’t have to practice, and trying to pass of a recording of a professional cellist as me practicing, telling my mom I practiced while she wasn’t home and recorded it so she would know I wasn’t lying. Even when I practiced though, I never felt like I was making any progress. I never saw myself improving so I had no motivation to work hard. When I first started wrestling, I experienced the sense of progress that I never saw with cello. I was amazed by the fact that I could learn a new move and then use it to score on an opponent the very same day. I had thought cello was nerdy and was embarrassed by it, but I knew wrestling was cool since my older brother did it. I wanted to be as good a wrestler as he was. I dreamed of turning the tables on him and one day putting him in the painful moves. I started going to open mats every week. I soaked up wrestling like a sponge, learning technique like takedowns and pinning combinations, watching wrestling videos on the internet, and asking my brother a million questions about the sport. I became passionate about wrestling. By the time I was a freshman in high school, I had dreams of wrestling glory. Not only did I dream of beating my older brother, then a senior and captain of the team, but I also dreamt of becoming the first New England Champion in my high school’s history. As an 88-pound freshman, this dream was more like a fantasy, but I didn’t care. What I didn’t realize though was how big a gap there was between the best wrestlers in New England and me. I had my eyes opened only a few weeks into my rookie campaign when I wrestled an opponent who went on to win the New England tournament at my weight class that season. In a mere 22 seconds, he took me down three times before pinning me. After that match, I realized that if I was serious about trying to become a New England Champion, then I would have to really invest myself in wrestling. Luckily for me, I didn’t realize exactly how much it would take to become a champion. If I had known, I wouldn’t have even tried. But blessed with naïve enthusiasm, I jumped into the sport of wrestling, ready to dedicate myself and become a champion. The first thing I had to adjust to was the level of intensity with which champions train. It was like going from peewee football to the NFL. I would get pounded during practice. My face would get slammed into the mat. I would get put into moves called the banana split and the guillotine, which are exactly as painful as the names imply. When we would run sprints or do conditioning, my heart would pound in my chest so hard I felt like it could be a techno beat. I tried to push myself as best I could, but there were times when I would break, reach the point where I was mentally defeated and would give up. Still, behind every bruise or bloody nose was an accompanying new technique. After a month of training, I no longer felt like the practice dummy. I even started to get a few takedowns of my own. I started to see the connection between my effort and how successful I was in competition. After each practice I felt a strong sense of pride that came from knowing I was doing everything in my power to achieve my goal. I learned that I could push myself past the point of exhaustion, and that even champions get tired; they’re just better at hiding it than the rest of us. I even realized why so many wrestlers consider cauliflower ear a badge of honor; it is a sign of how hard a wrestler has practiced. Practice is not the only area where champions distinguish themselves with their dedication. Another aspect that separated the New England Champions from wrestlers like me was cutting weight, the process of carefully controlling ones diet in order to drop weight classes and wrestler small opponents. I had never cut weight before in wrestling, but I believed that if I really wanted to become a New England Champion, then wrestling at the lowest possible weight class I could would help me get there. So my senior year, I decided to drop eight pounds in order to be able to compete in the 112-pound weight class. The first thing I realized was even water weighs something; a single glass meant an extra half-pound on the scale. So cottonmouth became second nature, and water fountains started to look like God’s gift. I started chewing gum just to keep the saliva flowing. During Christmas break, I had to make weight for a holiday tournament, so while my family and friends gorged themselves I would sit with an empty plate, staring at everyone else’s food. On Christmas morning, I woke up early and ran six miles just so that I could eat a little that afternoon with my family. I thought my schoolwork was tough before, but trying to do calculus homework without having eaten dinner was torture. On a good night, I would return home from practice and have a glass of chocolate milk, a clementine, and a yogurt. A bad night would mean a bowl of steam. Having to so rigorously control my weight often meant standing on the bathroom scale holding my dinner in my hand so I could find out to the ounce how much it weighed. All the while though, I was having my best wrestling season ever. I knew I had realistic shot to win New England’s, and that if I won my skipped meals would seem trivial. But, I still had to overcome the toughest part about wrestling, coming back from a loss. The worst part about the loss was that it was against a wrestler I had beaten the previous year. After he beat me, I felt like quitting. Instead of going over the match with my coaches like I normally did, I walked right past them and went under the bleachers to be alone. I couldn’t believe myself. I had put more energy and effort into wrestling than anything else in my life, and now when I was supposed to get my reward, my perfect season, I had lost. For the first time, I began to question whether it was even worth it. I thought about giving it all up and just eating, making up for all pizza, French fries, and desserts I’d said no to. I couldn’t do it though. I wasn’t ready to give up on my dream, and I damn sure wasn’t a quitter. I had even stuck with cello; despite never liking, 11 years later I was still taking weekly lessons to please my Mom. And now I was thinking about quitting wrestling? Something I loved? The first thing I was ever passionate about? This was not how it would end. Two months later I avenged that loss in the All-State Finals. It felt great, but I couldn’t celebrate just yet. The next weekend was the New England tournament. Everything I’d done up to that point would come down to 24 minutes: four six-minute matches. That weekend in New Haven, my dream came true. Standing atop the podium, I thought back to my freshman year to when the New England Champion had beaten me up. I thought about all the early morning runs to make weight, the three-hour practices so tough I sweat through two shirts, and rebounding from a bitter loss. My path was lined with obstacles that four years ago would have seemed impossibly tall. I had learned though, that I was capable of working harder than I ever thought was possible, doing things that to others would seem inhumane, and that even the seemingly impossible can be accomplished with perseverance and dedication. The lessons that were solidified that night in New Haven continue to define me almost three years later. 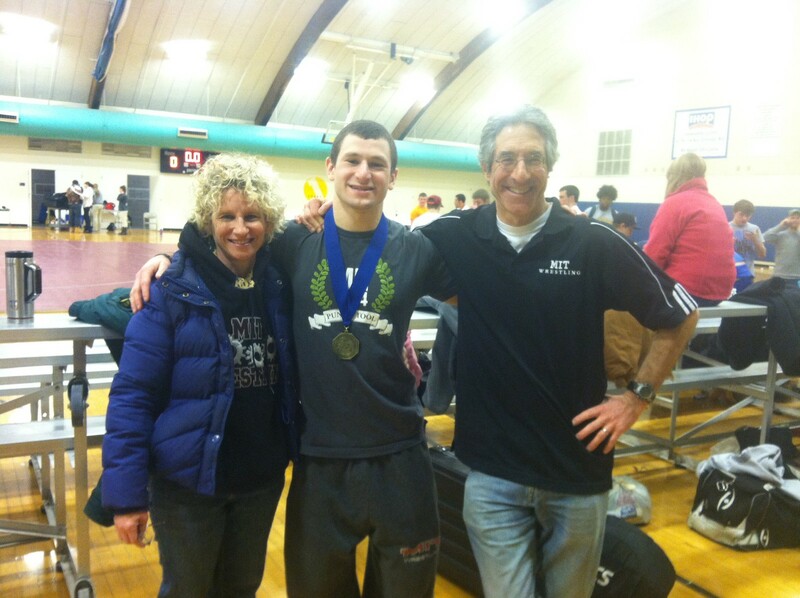 Now a junior at MIT, I am still wrestling and am one of the captains of our wrestling team. 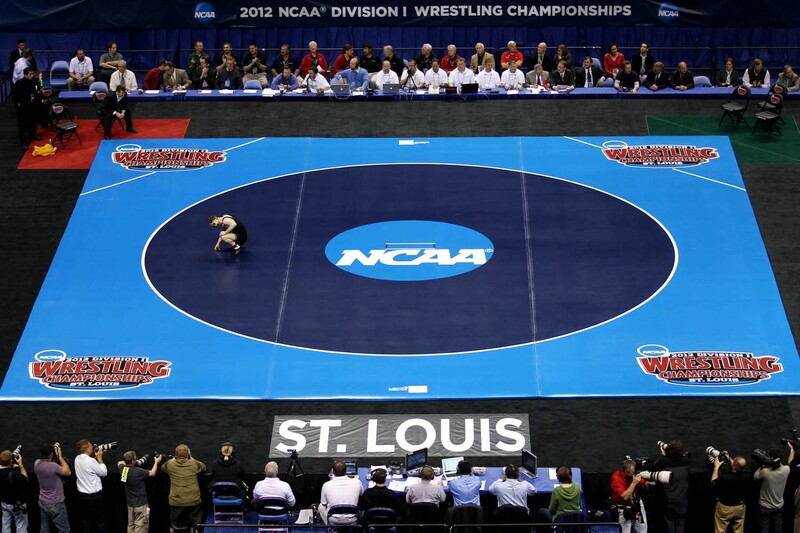 My new goal is to become a national champion. Last year I finished second. Wrestling inspired me and showed me that I have the power to achieve what I set out to do. I learned that all it will ever take is hard work, and I am no longer afraid of hard work.